Can you tell us how The Monstore came to be? The Monstore was a title for months before I did anything with it. 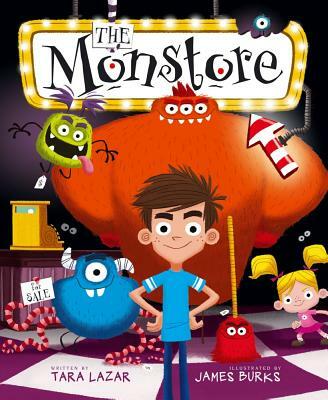 Then I had to pitch an idea to an agent and I came up with a premise: “A boy wants to return the monster he bought because it doesn’t spook his little sister.” When I finally sat down to write the story and the boy swung back to the Monstore to complain, I figured the only thing the manager could say was, “Sorry. No returns, no exchanges.” I thought the consequences would then be hilarious if the kid couldn’t unload his malfunctioning monster. And I was right. The story sort of just spilled out after that! Were you a big reader as a child? What were some of your favorites? Were there any characters you wished would move next door to be your new best friend? Yes, I loved to read, always. I adore almost everything by Roald Dahl, Judy Blume and William Steig. Charlie and the Chocolate Factory was my hands-down favorite, and the movie is also one of my favorites of all time. (Let me just say: I like Johnny Depp, but Gene Wilder will always be my Willy Wonka.) I didn’t have a character I wanted to live next door to, but I did want to live close to the Wonka Factory. I still do. 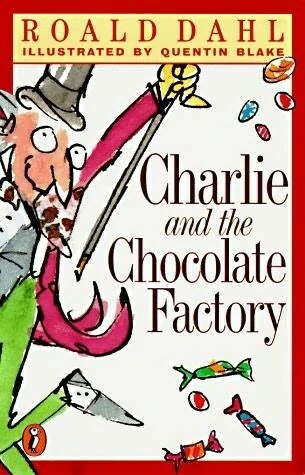 I even have an outline of a chocolatier tale for a middle-grade novel, if I ever get around to writing it–except the Wonka-like entrepreneur is a villain! I mean, people with power often abuse it, and who could have more power than a chocolate mogul with unlimited access to the sweet stuff we all crave? Is there any book you wish you’d written? There’s a novel for adults I read recently and thought if I ever wrote a novel, it would be similar to this one: Memoirs of an Imaginary Friend. The story is told from the point of view of an Aspberger child’s imaginary friend and it’s just brilliant. The friend, Budo, explains all the rules governing imaginary friends and how some of them look very unusual (because their owners typically forget to imagine them with eyebrows, for instance). Budo moves through two worlds–the real and the imaginary–and it turns out that he has to save his friend from a dangerous situation. I can’t say more because you just have to read it. The author, Matthew Dicks, is a fifth-grade teacher, and he has that eleven-year-old voice down pat. The story felt so real even though it was so fantastical, and that was an amazing feat to conquer. Loved, loved this book so much. I am terribly excited over several manuscripts I have brewing, including one that is rather longish for a picture book (900 words), yet it’s magical and sweeping and inspiring, so it just has to be that long. But truth be told, the past two months I’ve done little writing. I’m so busy preparing for the launch of The Monstore. There’s a chance it may not be in Barnes & Noble because of an ongoing dispute between the bookseller and my publisher, so I’ve been trying to get the word out in every way possible. Even via carrier pigeon. Although Mo Willem’s pigeon would probably be more effective. For anyone who doesn’t know, Tara is the person behind Picture Book Idea Month (PiBoIdMo), which has helped many of us not only compile a 30-item list of picture book ideas each autumn but sell some of those developed-into-manuscript ideas as well! Be sure to check out her blog. And this great interview with the great John Schu. This entry was posted in Uncategorized and tagged James Burks, John Schu, Matthew Dicks, Memoirs of an Imaginary Friend, Roald Dahl, Tara Lazar, The Monstore. Bookmark the permalink. I liked reading how you came up with the pitch. I agree, Roald Dahl is brilliant! No, I haven’t read that. Is that a book? I’m now going to go out and buy “Memoirs of an Imaginary Friend,” thanks to your description. Sounded awesome. It’s a great book! I hope you enjoy it! Congratulations, Tara! Less than 24 hours till take off! Can’t wait to read your book. Seems a little backwards, but it works for us, right? Frankenstein-style monster carrier pigeons…or seagulls….or both! Delivering copies of The Monstore to children around the world. Whaddaya think? Ha ha, sounds like a plan, Cathy! Thanks, Penny! I can’t wait to hear what you think! Love it! Love it! Love it! Great job, Tara! Hadf the pleasure of hearing Tara’s motivational and inspiring speech at the NJSCBWI conference.